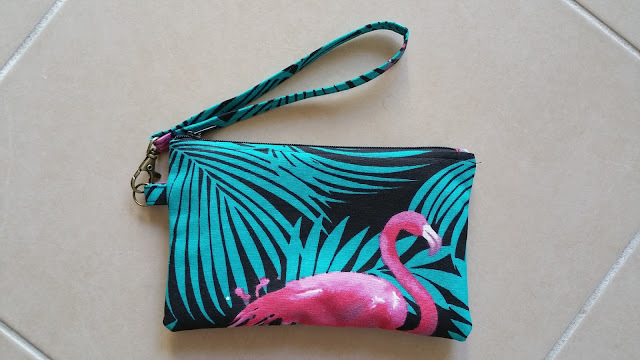 Made by Melanie: A Pink Flamingo "Essential Wristlet"
As predicted the Genoa Tote was my gateway sewing drug to all things zippers! I'm not putting zippers in to clothes (yet) but I'm having fun making purses, bags, and cushion covers. I'm quite fond of a clutch with wrist strap. Enter "the Essential Wristlet" by Dog Under My Desk. The outer fabric is from Spotlight - purchased for another Genoa Tote that I've cut out and not yet made up. 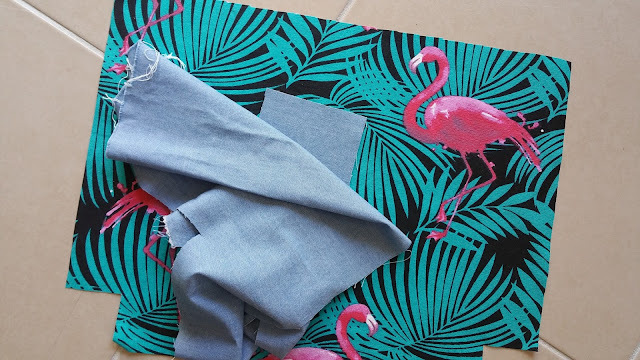 The lining is chambray from Tessuti bought for a Sewaholic Rae Skirt that I've never finished. 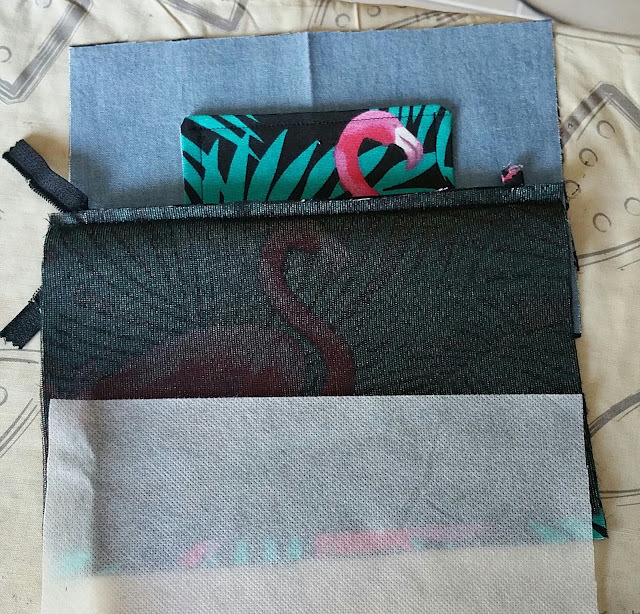 I had enough left over for the lining of the aforementioned Genoa Tote, but the lining of this wristlet. 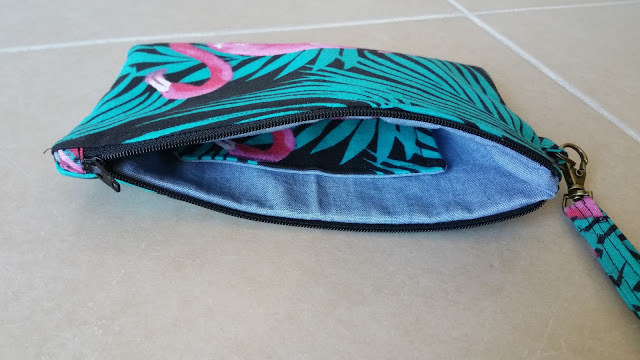 I made the large size wristlet, but next time I want to increase the size by at least an inch as I carry a lot of stuff with me - mainly my Ventolin requires more space as it's awkwardly shaped. The method for inserting the zipper is quite different, so I'll have to do some maths to then figure out how long the zipper needs to be. The purse has a pocket for your cards - I did this part twice as my first attempt was a bit sloppy looking. You can also see a little tab over the end of the zipper (on the left hand side) and some magic fandangling happens at the other end to ensure no zipper tape is in the seam allowance, thus reducing bulk. I did have a big of trouble when it came to putting together the lining, sew in interfacing and outer fabric. 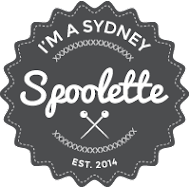 Luckily I was able to ask Erin, the pattern designer, for some help - and Dave has good spatial abilities - so I got there in the end. I'm including this picture so I can look back on it for next time and remind myself how I put it all together. I'm going to be taking this to work with me. I often have to go between buildings and don't want to carry my entire bag with me especially when I doing WHS inspections. This will be useful to put my phone, Ventolin etc in. Pretty and useful. Winning!